The Inn offers traditional and unique Oriental style rooms just a couple of minutes walk away from Patong Beach front. 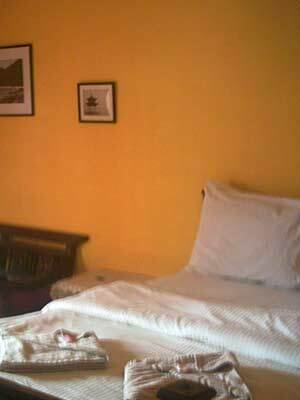 We have 9 superior double bedded rooms 6 with balconies. 1 VIP and one twin double bedded room all with ensuite shower rooms. Facilities include, Air Conditioning, fan, cable tv, DVD, Mini bar, with complimentary tea and coffee facilities, wifi internet, toiletries & safety box. Room service menu, laundry, tours and transport, airport transfers, message in the comfort of your own room and no charge for extra guest. Guest lounge, self catering facilities, dvd & book rental. 24 hour Security. There are 3 back packer dormitories available for 5-8 beds, based on price per bed or on a sole occupancy. All rooms are tastefully decorated with double, single and bunkbeds, wall, ceiling and floor fans, 3 shared toilet/shower rooms, common area with entertainment, cable tv, w-ifi and self catering facilities. Unbeatable value for money for only B300 per person. Discount pricing forsuperior room bookings of small groups, + 5 nights or long term guests. Best of all we bring you all of this at unbeatable budget prices. We're your home away from home! And will do anything possible to make your stay at the Thai Oriental Inn a pleasant, fun and memorable experience. If you can find what we are offering, friendly service included, at a lower price, let us know. We'll Beat it!!! Plenty of Fun Nearby Shopping and Great Nightlife! 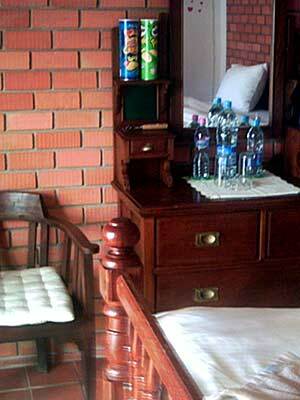 Our concept offers you a great big welcome, with a home away from home environment. Service and friendly interaction with our guests is a major priority. Our rooms and facilities are unique and the beds are awesome. Unique Oriental style rooms 6 with balconies, with beds you just don't want to get out of. Complimentary wifi, tolletries and tea and coffee facilities. No charge for extra room guest. Cable tv with channels for everyone in all languages. Endless movies, 4 sports channels and worldwide news. We are in Phuket island which is a part of Thailand. Phuket is a very popular tourist destination with some beautiful beach resorts and other amazing islands closeby. Direct flights are available to phuket airport from Europe, Australia and other Asian destinations or via Bangkok. 20% non refendable deposit required by bank transfer in all currencies. We are in heart of Patong Beach on Rat-U-Thit Rd, directly opp entrance to Soi Kebsap, which is between Christen massage and Holiday Inn. Taxi, minibus, motorcycle taxi or tuk-tuk.